The brain, said to be the “command center for the human nervous system” basically runs our body system; from the way we talk, think, move to our vision, hearing and other senses including how happy and stress free we are, the brain takes charge. So, it’s no exaggeration to say your brain needs some TLC – yes, you’ve got a part to play and it’s real easy too. A little adjustment in your food intake and viola, you’re on the right path – eating healthy doesn’t just keep you in great shape but also helps in ensuring the brain is good, healthy and achieves 100% productivity boosting; memory, concentration and focus. brain aging and other neurodegenerative diseases such as: Parkinson’s disease and Alzheimer’s disease. Blueberries also contain antioxidants which help improve communication between brain cells. So next time you do your grocery shopping, be sure this yummy berry holds the top spot in your menu list. Eggs rank top on the healthiest food list ( when consumed in moderation, that is). Known to be an excellent source of protein, they boasts of a range of amazing benefits including: reducing risk of breast cancer, benefitting the eyes, heart and even weight loss just to mention a few. No exaggeration, eggs also work wonders for the brain health. Containing vitamins B6, B12, vitamin D, folate and choline, egg yolks play a crucial role in making sure things are in top shape up there. Great news huh? Tasty and nutritious! Want to indulge? Choose delicious dark chocolate! Tip: the darker, the better. Did you know this finger licking delight amazingly improves, Learning, Memory, and Focus? Cool huh? Chocolate contains flavonoids which help improve blood flow to part of the brain connected to learning and memory in young and old alike. Antioxidants found in chocolates help protect brain cells, lowering blood pressure and improving blood flow, hence preventing premature brain cell aging. In addition, chocolates also contain caffeine, a certified brain booster which in the long run improves memory, mood, and concentration. Pretty amazing. 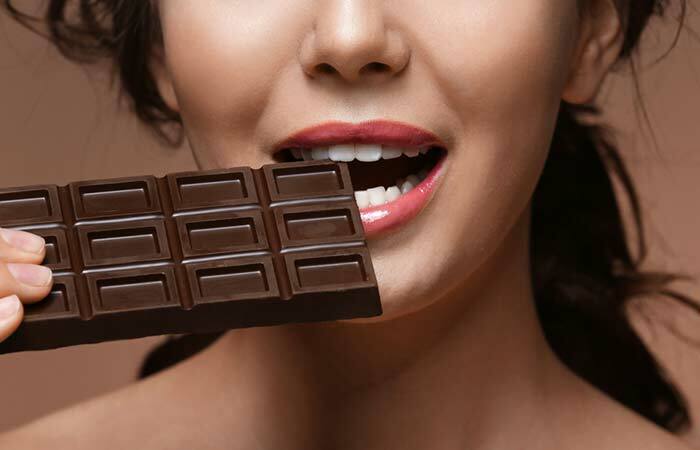 Feeling a bit depressed, dark chocolate is your go-to source for mood elevation as it reduces pain and stress and instead boosts the production of endorphins – feel-good chemicals. Hey, I know you sort of hold your diet routine real serious, but you might consider squeezing a little bit of dark chocolate in the mix. Fish aka brain food, ranks high amongst foods for brain health many thanks to its rich source of omega-3 essential fatty acids (EFAs), highly important nutrient for your brain in terms of overall health and development. Fish Contain anti-inflammatory properties, which acts as a strong mood booster – neurotransmitters such as serotonin and dopamine prevents depression and anxiety. A healthy brain and nervous system needs vitamin B12, and fish is a great source as well. Little wonder it ranks pretty high. Want to improve your cognitive functions – memory and concentration? Plus healthy looking glowing skin to complement?, no worries, avocados to the rescue and yes, your brain will thank you too if you decide to munch on avocados. Armed with monosaturated fats, avocados help perform wonders on the skin and also ensures our sugar levels is steady – provides healthy blood flow by oxygenating your brain, which in the long run gives you a healthy brain. Avocados also contain vitamin K and folate, known for preventing blood clots in the brain which ultimately prevents a stroke. Plus, they are also good for protection of eye health. Green tea, almonds, nuts, fish, coffee and vegetables help tons. Cheers to munching on and conquering the world!